They grow to serve us for just two weeks. We select them with a lot of attention. We decorate them with a lot of love. They brighten up our lives for two weeks. Families gather around them on Christmas. And then we throw them away. Isn’t it a bit crazy? 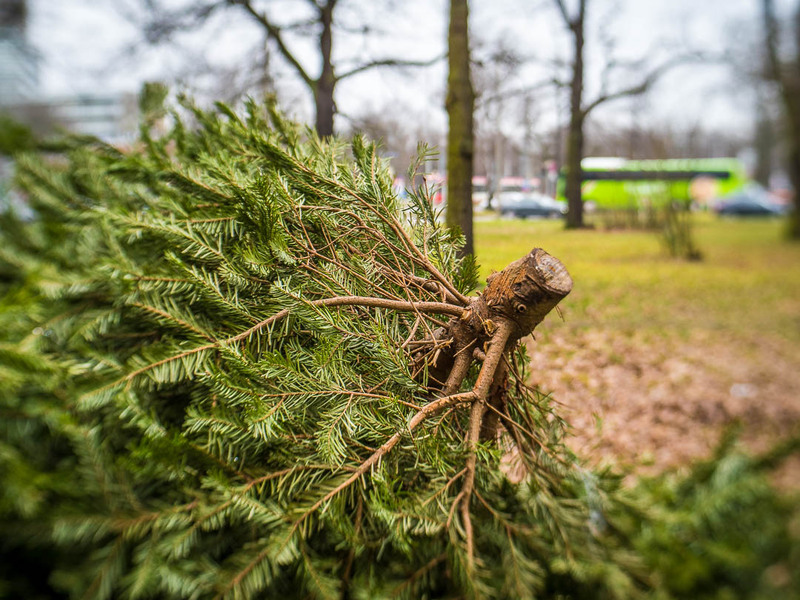 While walking to a doctors appointment I saw a bunch of disposed Christmas trees laying at the side of the road, waiting for the city to collect them. I had the PEN-F with the Lensbaby with me, and took this shot with 1/100 sec, f/3.5 and ISO 320, focal length of the lens is 28mm. The photo is out of camera, no postprocessing. Sure, you can create this effects artificially with Photoshop, but isn’t it more fun to get it right when pressing the shutter? Walking around with a Lensbaby forces you to see differently. We try to get ours as close to the first of December as possible and keep it up until the beginning of the year, but it still feels like such a short time. I wish there were a way to be able to replant them. Great capture Marcus!! Very nice post. In Mainz we have a company that rents Christmas trees in buckets. They plant them on the forest after Christmas. I had similar thoughts last week on my blog too – Beautiful shot!